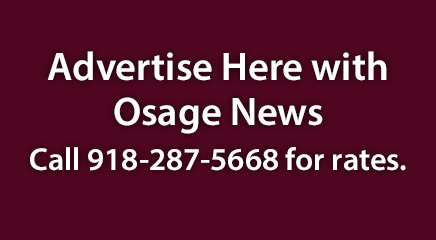 McCord School, an Osage County school located just east of Ponca City, will prohibit use of all tobacco products on school property and at all school activities – whether on campus or not – as of the start of the 2014-15 school year. The McCord School Board voted unanimously for the policy, which will include electronic cigarettes and vaping devices, during its meeting on July 10. “I thought it was a great move and I think we will hit the ground running beginning with Enrollment Night,” said Karen Weihle, a McCord counselor. McCord previously adhered to the state’s minimal law of prohibiting tobacco use on school property only from 7 a.m. to 4 p.m., which meant adults could use tobacco products during afterschool events. But now, with the new policy, all students, staff and visitors will be protected from secondhand smoke on campus 24 hours a day, seven days a week -- even when private residents rent school facilities for community events or private functions like family reunions in the beautiful blue and gold cafeteria. McCord Principal Boyd Braden reported that some of his cafeteria workers have already utilized the 1-800-QuitNow helpline with success. Osage children attending the school as well as rural families of Ponca City all can now Breathe Easy with the new 24/7 tobacco-free policy. Prior to their vote, school board members discussed how this policy would impact their students, staff, and parents of schoolchildren. Board Clerk Charles “Chuck” Blake mulled over the terms “campus” and “24/7 tobacco-free school” as provided by Electa Hare-RedCorn, the Osage Communities of Excellence program coordinator. Board President Joy Neil asked how the proposed tobacco policy would be enforced. Board members ultimately decided on an enforcement chain of command they said would meet the needs of the rural school. Board member Jeff Clark said the policy’s language should include all school field trips, so parents and sponsors will understand that we all have a role to play in modeling healthy behaviors. He suggested keeping a portable laminated copy of the policy, so that it can be present at all school events, such as ball games, concerts and parent-teacher nights. Adoption of a 24/7 tobacco-free school policy is one qualification toward earning Certified Healthy School status from the Oklahoma State Department of Health. Certification would allow McCord to apply for a Certified Healthy Schools Incentive Grant from the Tobacco Settlement Endowment Trust (TSET), which the school could use for health- or wellness-related projects. The Osage Communities of Excellence office helps schools within the county apply to become Certified Healthy and for Certified Healthy Schools Incentive Grants. If you or anyone you know would like to join in promoting Breathe Easy environments where we live, work and play, please contact the Osage Nation Communities of Excellence at 918-287-5267 and ask for Electa Hare-RedCorn, Community Liaison, or Nataska Rouse, Project Specialist.